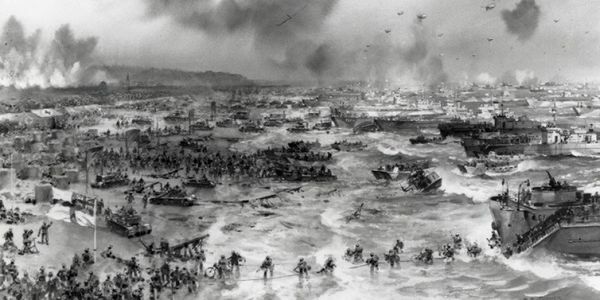 petition: Demand that the Liberty concert on Sword Beach on D Day 2019 be cancelled or moved to a more suitable location. Demand that the Liberty concert on Sword Beach on D Day 2019 be cancelled or moved to a more suitable location. On the 6th June 2019 there are plans for a huge concert on Sword Beach in Normandy. 75k people are expected to turn up all paying £75 . They will be partying on the very ground that hundreds of men lost their lives 75 years before fighting for our freedom, where families have scattered ashes of loved ones who fought on that beach, and where returning veterans want to go but will be unable to. An addition 75000 people in an already very busy area will become a liability. Let them have their concert, but NOT on any of the beaches in Normandy and preferably NOT on the 6th June 2019. We have now had confirmation from the organisers that there will be no concert on Sword Beach on the 6th June 2019! Thank you all for your help, comments and support. We would like to thank Liberty Concerts for listening to our concerns and taking this course of action.